The Tulsa Humane Society and Tulsa SPCA leading the TAW to a no-kill shelter policy should be successful given time. In November 2018, Mayor G.T. Bynum announced that the city would join forces with the Humane Society of Tulsa and the Tulsa SPCA to form the Coalition for Tulsa Pets. Although this is a great first step, it doesn’t guarantee that the lives of animals in Tulsa will be improved. The coalition was created to remedy the dog and cat overpopulation problem in Tulsa. In 2017, Tulsa Animal Welfare (TAW) took in 8,819 dogs and cats. On an average day in 2018, TAW takes in around 20–40 animals, most of which are owner surrender. According to the city of Tulsa, the live release rate is 65 percent, which isn’t terrible, but that still means roughly 35 percent of the animals who enter the shelter never come out. These numbers might cause people to be skeptical of the coalition’s chance of success, but I believe TAW will be a “no-kill” shelter within the near future. To many, this is a cause for celebration. But while it is good that fewer animals will be killed, it is important to keep in mind that just because TAW becomes “no-kill” does not mean that the shelter itself will become more humane. It is great if healthy animals are not being euthanized, but if they are going to be living in the shelter until they get adopted or pulled by a rescue, they need to be treated kindly, and their living conditions need to be clean and comfortable. The coalition cannot forget to focus on the level of care the animals at TAW are receiving. Obviously, it all depends on the individuals caring for the animals. Like with all professions, there are some compassionate animal control officers and there are some who are rough with the animals. A “no-kill” shelter doesn’t mean the lives of the animals within it are instantly better. Yet becoming “no-kill” is still a positive, achievable goal. Since 2016, TAW’s live release rate has been increasing, which means fewer animals are being euthanized. With the implementation of the coalition’s steps, the euthanasia rate will continue to drop. The coalition is focusing on two areas: one, they aim to make TAW a “no-kill” shelter; two, they plan on providing the community with resources for their animals so that they don’t have to give them up in the first place. Still, with thousands of animals passing through the shelter in a year, it seems like a lofty goal. But it is an achievable one, as other cities similar to Tulsa have demonstrated. The Kansas City shelter used to have a high kill rate: in 2011, their live release rate was 65 percent, the same as Tulsa’s current rate. 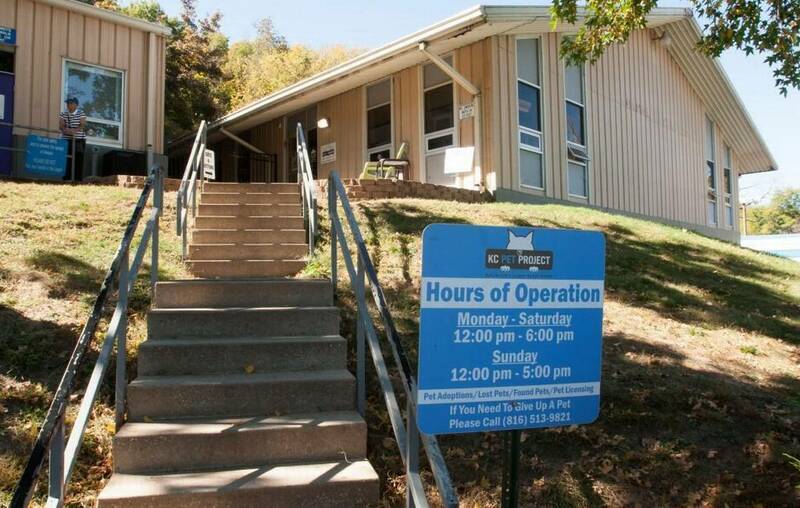 Just four years later, the Kansas City shelter had increased their release rate to 93.6 percent by implementing steps similar to the ones that Tulsa plans to take. Tulsa will continue to have an overpopulation problem if we do not find a way to effectively regulate the sterilization of dogs and cats. In addition, the laws governing animal abuse in Tulsa are not comprehensive enough. Many owners can get away with mistreating their animals since the ordinances are somewhat vague. Loopholes make it difficult for animal control to step in and help abused animals. Even if the house is old, the animal is cramped, or it’s freezing outside, the owner would not be breaking any laws by leaving their pets outside. It isn’t healthy to keep animals, especially dogs, isolated outside away from people. It can lead to aggression, since they receive little socialization, and they could die even if they’re in their shelter if temperatures drop too low. But as long as they have some kind of shelter and a little food and water, the owners will be allowed to keep the animals. Problems don’t get fixed in a day or even 10 years. It takes time, effort and patience, which, luckily, Tulsa seems to possess. 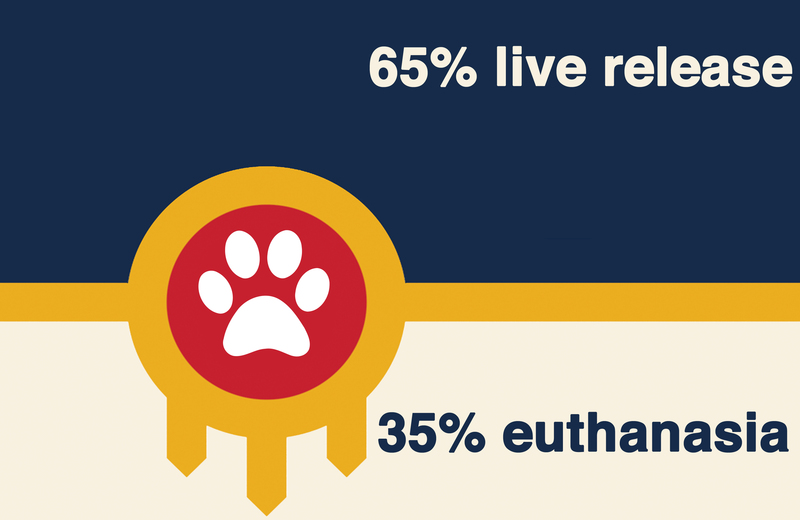 It is a good sign that the city of Tulsa isn’t trying to become “no-kill” on their own, as most of the cities that have achieved a 90 percent release rate have done so with the help of private organizations. Tulsa Humane Society and Tulsa SPCA will help TAW fully implement the proposed plan, which in turn will give the unwanted dogs and cats of Tulsa a chance to have safe, loving homes. The Tulsa Animal Welfare currently has a live release rate of 65 percent, but it could reach 100 percent with the right policies.